Over the last quarter of a century, Test series between England and New Zealand have almost always been closely contested affairs, throwing up some of the most exciting games in recent memory. In the early years of the rivalry, England dominated, but from the 1970s, New Zealand started asserting their class, and after the emergence of players like Richard Hadlee and Martin Crowe, it became a far more even contest. Now that the two nations are about to go head to head in a Test series in New Zealand, it is perhaps a good time to take a look at 5 of the most exciting Test matches that these two teams have been involved in. This was a game in which England had no right to walk away with a draw but that is exactly what they did, at Auckland in 2013 when the last pair defended doggedly to deny New Zealand a victory. With the series locked at 0-0, the 3rd Test at Auckland was the decider and batting first, the hosts did well to put up 443 in their first innings. The innings was powered by opening batsman Peter Fulton's 136 and Kane Williamson's 91. In response, the England innings folded for 204 as they had no answer to Trent Boult's swing and pace. The left-arm fast bowler finished with figures of 6 for 68. The Test was New Zealand's for the taking and they drove home the advantage in the 2nd innings. Fulton scored another century (110) and New Zealand accelerated, eventually declaring at 241 for 6 after 57.2 overs. The target for the visitors was 481. 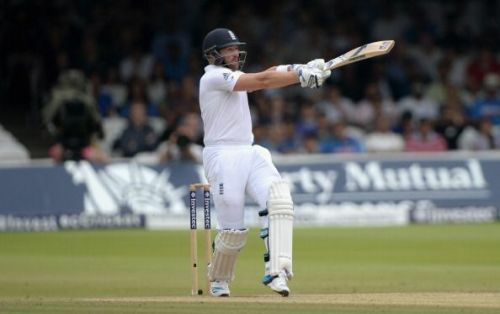 England's only hope was to come away with a draw but at the end of the fourth day, they had been reduced to 90 for 4. Things did not improve much on the 5th day as they slumped to 159 for 6. However, Ian Bell and Matt Prior provided some resistance before Prior got together with Stuart Broad to bat out 29 overs. Eventually, it came down to Prior and number 11 Monty Panesar and the duo was taked with batting out 3.1 overs. New Zealand surrounded the batsmen with all 9 fielders but the last pair held on to escape with a famous draw.